“This family is not wealthy. Are we well off that we can support ourselves, yes, we are educated, we are professional we have worked all of us we have made money and we have the ability to make money all of us. That is what we are trained by but to say money from this government, stolen money, I challenge it anywhere”. Monrovia – For the past ten years, Liberian President Ellen Johnson-Sirleaf has had her share of ups and downs. Hailed internationally as a reformer who took Liberia from the ashes of war into post-war economic and political revival, her domestic fortunes have been greeted with mixed reviews and criticisms amid some daunting challenges. With two years remaining on the clock, Sirleaf is quite aware about her legacy and the achievable deliverables that could make or break her standing in the history books of Africa’s oldest republic. In this exclusive interview with FrontPageAfrica, the President Holds no punches as she addresses several controversial topics including her take on her vice President Joseph Boakai’s 2017 Presidential bid, the Harry Greaves Death; perceptions about her family’s alleged wealth, rumours of a hospital in South Africa, the collapse of the National Oil Company of Liberia and balancing her much heralded international image with a challenging but critical domestic agenda. PRES. JOHNSON-SIRLEAF: You know given form whence we’ve come; what we inherited, destroyed infrastructure, dysfunctional institutions, virtually nothing working; we have come a long way and we are pleased with the progress. Yes, there could be more if we had had the full kind of understanding of the public, what their role is and the political support particularly in the second term, meaning the last term, there are always political challenges. PRES. JOHNSON-SIRLEAF: You know, I like to say that we were doing well; we had even achieved a growth rate of 9.5% and I was pushing for double digits. The problem started from the 2008 global financial crisis, because that caused a lot of pull back by some of the major investors. But still we were moving. Our growth rate dropped a bit, it dropped down 7, 71% but by the time Ebola hit, we were just trying to climb again by trying some diversification. What made it worse is that right after Ebola, we had a major fallout of major commodity prices that hit two or our main exports, rubber and iron ore and so as you know many of the concession agreements pull back. Some of them had even stopped, they could not go ahead with their programs, so that really took us a while, even now we are just trying to recover from that and I think people who do not understand the global dynamics, the economic shifting that take place and they do not understand our domestic situation and the fact that the government cannot put even the limited resources we have into investment because most of it go into salaries and wages and we do not want to fire people in mass because it is almost a social protection program, so people criticize sometimes, but I think those who are more informed they will just take a look at where we were, look at the path we travelled, loot at the constraints we faced, look at the progress we have made. I think they will concede that this government under the circumstances, we have done very well, and this is why we get applause from the international community because they know the interworking of economies; they know the global situation we face; they know how hard we have tried and how diligently we have worked, how we mobilize resources. How we resolved the debt crisis and they come and see it, they appreciate it and let me tell you it is not just the government. I want people to look around this country, look around this city and see what’s happening, look at the many houses that are being built. Look at the businesses, that are taking place look at the manufacturing sector many of it with women and food processing that are getting started, many of these things that did not happen before, it could only had happened with the peaceful and conducive environment. PRES. JOHNSON-SIRLEAF: Quite frankly, I have a thick skin and I say that if I were to pay attention to all the criticisms, it will divert me from my focus. My focus is to keep going, to do what I can do within our capability, within our resource availability and achieve as much as I can and I am pleased with that. Today, tomorrow they will look back and frankly they will look foolish because they will know that I am not paying attention, the criticisms, yes, nobody is perfect, I am sure sometimes I may fall, sometimes make the wrong decisions, sometimes my judgment may be questioned, I am human but much of the things they criticize and accuse me of, you know are all false and baseless. PRES. JOHNSON-SIRLEAF: Every time we set up a special commission for example to investigate, we do conclude it, the most recent one you talked about, that was investigated by a three-person panel, nobody was connected to government, whatsoever. I received their report, I turned that report over to our security advisor, Dr. H Boimah Fanhbulleh, I said please go ahead Dr. Fahnbulleh and Dr. Fahnbulleh is carrying out all of those instructions. PRES. JOHNSON-SIRLEAF: Look, we have done the best we can to prepare ourselves to take the primary responsibility for our nation security. We do not have all the resources to do all the things that need to be done. I wish we could have 10,000 Police men, we only have 4,000 because that is what we can afford, because even training them takes time and takes money. Even if we wanted to and had the resources, it takes time to prepare but I believe we are. UNMIL has been drawing down from different places, they have been replaced by our security forces and so far, we do not see any great calamites or great crisis in those places. Now, the Liberian people are also going to take responsibility for the peace and security of this nation. If they work with the government, they remain peaceful, they are lawful. I think we can be able to manage on our own, UNMIL is going to leave a residual force. They are going to have residual both in terms of peacekeeping as well as policing, they are going to be here. They are going to have rapid response force, they should have been based in Abidjan, they now say they will be based in Bamako, but they will be there for quick recall. At the same time, President Ouattara and I, in our discussions in the line of what happened in Ouagadougou; and now recently in Mali, we have said that we will just write the secretary general for them to do another assessment in line with the recent terrorist attacks to see whether the drawdown plan needs to remain as it is, or whether it needs to be revised. The both of us sent a joint letter in that regard, and they are going to do that in September. But other than that, Liberia will need to stand on its own feet at some point, we cannot keep depending on somebody to protect us from ourselves. FRONTPAGEAFRICA: Let’s look at the 2017 issue, first the issue about the Vice President, your legacy is at stake. How you handle the aftermath of that is going to be key. What measure are you putting in place to ensure that the elections are free and credible? PRES. JOHNSON-SIRLEAF: We have the National Elections Commission that has carried out two or three successive and successful elections. So to me they have the capacity to do it. We hope they look at the electoral guidelines with a little more rigidity, that they will be tougher, to ensure that we have the number of parties that will not be overwhelming as it seems to be. They need to make sure that the processes of elections are free and fair. We will be inviting the international community, not just to come the day of election or the week or so, we want them to come now, so they can examine the system, they did it once before with some of the by-elections. They tell us that our system was better than many other countries in terms of the inability for people to really cheat; we are asking them to do it again. We need to have political discussions and associations so that political parties themselves can exercise restraint, can remain lawful and peaceful in a context. So we need to have all of these things to have it. I do believe that the Liberian people want to have elections, they want to have peaceful and safe elections. They want to be able to choose a leader that they want and they want us to move, forward. For me Liberia political test of maturity will be the election that is coming up in 2017, so I will do all I can to make it happen. PRES. JOHNSON-SIRLEAF: Well, let me say two things, first of all, there has never been any mistrust between me and the vice President. Like I say, he is more than a vice President, he has been a long-time friend with me and my family and my husband, so there is no distrust there, so I was never afraid to give him any limelight for fear that he will want my job, not at all. On the other hand, he is a vice President who is running; the campaign is going to be his campaign. He will have to dictate how he wants it, how much he wants to build on the existing progress to which we have both contributed so much, will be his call, whether he wants to strike off and show that he has a different path that will be his choice and I am going to work with him whichever way he wants. There is just one thing I like to say, there is no political party as I see it, based on my political experience that will win these elections without a coalition, I don’t think any political party can win on its own giving the number of parties, so if you see people negotiating, dialoguing it is because that they have all realized that some coalition has to be made for a particular party or parties to be successful. PRES. JOHNSON-SIRLEAF: Not at all, not at all. But that will be their choice, including the Vice President or anybody else. If they say because you have domestic problems, therefore we want to distance ourselves that will be their choice. I can say one thing, that the person who builds and accepts and promotes the progress that we have made will stand a better chance winning the elections. SIRLEAF: If we are talking about defining moment, clearly, the clearance of our debt. I mean because we would never have had the fiscal space to be able to borrow, the way we have been able to do it in line of what I say that our own domestic resources are so small and so it deserves defining moment, but if you were talking about what you see as major contributions, I will say it is giving you all the freedom you have, the media. PRES. JOHNSON-SIRLEAF: People are targeted? PRES. JOHNSON-SIRLEAF: No, no, let’s be very clear about this. Anybody who speaks out is not a target; but anyone who accuses someone of a criminal act must answer to that, that’s all. Mr. Patrick or anybody else has been speaking out; you have never heard us say anything, but when in the midst of the particular situation we were in when you heard somebody whose death is a subject of discussion and suspicions are ongoing and then you come out and accuse the government; that was carried a too far. We have to in that case ask the person to come and give account; to give evidence and if you cannot give evidence, you have to face the law. Mr. Patricks is not anybody that we will want to target. Why? He is not of any great consequence to what we are trying to do. PRES. JOHNSON-SIRLEAF: She met all the qualifications in what they are required for the position. Ms. Weeks is a qualified engineer, holding a PhD in that respect. She failed in Liberia because she lacked political sanctity. Where she is going, she will not be involved with political issues, she will be involved with professional job so she was qualified. But we made sure, we had two others because people also reading the notion, reading the papers and they will say things. We wanted to get delivery of our agenda, her own technical way but lack of political sensitivity made her delayed too much for us but she is on that list but we do not choose the person, we only listed and send them, they hold interviews, they look at the backgrounds, they do all their test and they decide. She is attractive, a woman engineer, PhD in Africa. PRES. JOHNSON-SIRLEAF: You know one thing about Liberia is that there is always this thing call perception. When you are dealing with corruption that is perception, dealing with this it is perception. So here you go again with another perception. That is perception, when you notice, I never drink soup when it is hot, so when people are making all the clamour, I just go quiet, when they least expect it, I do what I have to do. PRES. JOHNSON-SIRLEAF: Well, let me start with the later one, first of all a first audit of NOCAL has been done, it is an audit that covered 2009 to 2011, that audit report has been released. I personally called the Auditor general and said please put on a fast-track the other audit that takes it up to the current period, right up 2000 something, that audit is on right now. That audit as the Auditor General knows, they have the freedom to audit and audit it properly and fully, and it is on, so it is not the question of commissioning an audit. It has. The whole NOCAL story is really a sad one and that is why I do not want to say much until that audit is concluded, because one will find that much of the big money that they said NOCAL had some of that money went to government too, but you know let the audit disclose that. Of course there were high spending, high salaries, excessively high salaries at the top level. We had counted on closing one last deal not only to safe NOCAL and provide them with the resources to keep them going but also providing Liberia with the resources and helping the petroleum industry going when we tried the KOSMOS deal and we took a long time to negotiate that deal, it was a good deal because Chevron was closing down, ExxonMobil was stagnant and KOSMOS was the only thing. Another Nigerian company was also backing off, KOSMOS was the only thing we had to keep NOCAL alive. The administration, the Executive did the negotiation processes, the legislature did not see it fit to conclude it and that was that, that just dropped the bottom. So we have been trying to pay the other people, not the high executives, they have been paying them through increments, so we are trying to see to get some more money before we close the books to be able to settle the rest of the people. PRES. JOHNSON-SIRLEAF: I feel so sad because this one of the greatest lies that the future will debunk. This family does not have excessive wealth; this family live by certain principles of my mother. We do not steal, we do not steal, do you understand, we have no shares in companies, we have nothing, I personally do not own a piece of property in America where I owned houses before and sold them before coming to Liberia. So, I do not, the only person that may have some resources because he has good friends is Rob, because he has some friends in the petroleum industry, he has friends here and there and he has some friends that might support some of the projects he does here but even him, does not have that kind of money that they say he has, he doesn’t. There were one or two times when he called me and said look you have to let me something this time until I look for more resources. This family is not wealthy, are we well off that we can support ourselves yes, we are educated, we are professional we have worked all of us we have made money and we have the ability to make money all of us. That is what we are trained by but to say money from this government, stolen money, I challenge it anywhere. The US has a system call the Politically Exposed Individuals where they track the money that everybody has, who are politically exposed, I am on that list, every one of my immediate family on that list where they track, if you have money anywhere, they will know and believe me the international community particularly the US will not stop to talk or will not stop to take actions if they figure out somebody is holding money that they got from this government. PRES. JOHNSON-SIRLEAF: I heard some kind of April Fool day report. They put there that Rob was being investigated by the FBI; trash! That is why they took it off the next day because I think he had challenge it. He had challenge to get in touch with the FBI. They say I have hospital in South Africa and my son has it, my son who is a Medical Doctor has not even been to South Africa. Does anyone think anybody can just go into South Africa and build a hospital there? It is that easy? I mean where are people’s rationality on some of these issues. I just wonder, do people just sit and just talk? they do not just sit a little bit and examine what they hear? Or what people say? Does this make sense. FRONTPAGEAFRICA: Madam President, In the two years remaining, what is your government doing for healthcare workers that contracted Ebola? Also, there has been some calls for the possible pardon of the two leaders of the health workers’ association to have them reinstated since Liberia needs their services as health professionals? PRES. JOHNSON-SIRLEAF: Look, let’s be very, very clear; the two persons you are talking about were the two leaders of the so-called Health Workers Association, an institution that has never been sanctioned. But that is not the issue, the issue is when they decided to call a strike, people in hospitals died. My position and that of the Ministry of Health is very clear, nobody say they are not entitled to get a job, they are professional health workers and they are entitled to job and work and nobody will stop them – and not even in the public health system, but to go back to those positions previously held, where they called themselves health workers association and headed and demanded strike that led to people dying, they cannot go back into those positions but they can get job anytime in the health sector and we have told them that. PRES. JOHNSON-SIRLEAF: That is one area where we need to do more; we have not done much, as much as we should. As you correctly said, there is one psychiatrist. We are trying to train others. Training a psychiatrist, training in people with specialized area of health is not a fixed thing. It takes several years to get specialized people. Now quite a few are graduating from the A.M. Dogliottii Medical School; we are now beginning a program for some of them to really specialize and we now have one of the mental health places that is really not up to the standard. FRONTPAGEAFRICA: Drug abuse has been a problem here. Recently there has been raids in some communities. Do you think that is the solution to these problems? And what programs are there for these people? PRES. JOHNSON-SIRLEAF:SIRLEAF: That is what I said on the mental health issue, we have not done enough, it is a difficult area because we do not have many people trained in that area and to train them takes so long. When it comes to the issue of raiding drug-infested areas, no! Raiding the drugs-infested areas, is not the solution, although they may want to do that from time to time to only to stop the excesses. PRES. JOHNSON-SIRLEAF: First, I can only pardon after conviction; that is what the law requires. So somebody has gone to court, they were judged, for example they filed an appeal as in one or two cases that are active right now before the Supreme Court, I can do nothing until their case is finished. In one or two cases like the Ugandan, she has been convicted, she has served certain terms as a foreign national, and she is woman. So I pardoned her so that she can return home. It is very selective. I say it is only when it has reached the end of the road, they have exhausted the legal system as required by law. FRONTPAGEAFRICA: Another side to coin is that there are many Liberians out there in prisons, in countries like Uganda, Kenya and elsewhere, they have not been pardoned by these countries. So is there a way we can reciprocate gestures or prisoner exchanges? PRES. JOHNSON-SIRLEAF: Absolutely, when I go to any country and we ask and they say there are some Liberians in there, we advocate for them and talk for them to see if some of them can get free. The biggest issue now is the repatriation. If we are ready to repatriate them – and the numbers in the case of Liberians are large. For just one Ugandan woman, it is easy to handle one person; sometimes you go there you see 10, 12 Liberians, how do you handle all of them. Reciprocation is a possibility that can be pursued. FRONTPAGEAFRICA: Now let’s look at issue of Harry Greaves, he was your long-time friend and all of a sudden, we lost him. Where were you when you first heard of this and what was your first reaction? PRES. JOHNSON-SIRLEAF: I was in Addis Ababa, attending a meeting when the news reached us. What else could I feel when Harry Greaves died, other than extreme sadness, because this was a talented person. But you know, I do not want to speak out on the Harry Greaves issue now because the investigation in my view is not concluded and I said this to the Minister of Justice. I said, we got to complete this investigation and it must be concluded, starting from the beginning; right from wherever it started at RLJ to the JFK person who received the body; to the people who came to do the autopsy, to the JFK doctor, other doctors that came from the family, all of that need a comprehensive investigation for all of us to try to know. The Americans too who came and did a lot of interviews, that report too, as far as I know has not reached us. They say they are checking it in the US, that is part of it. We need a full investigation. When the investigation has been concluded and a report is out, that is the time I will speak. But let me just say this: Anyone, anyone who accuses this government or me of having a part to play in Harry Greaves death is wicked…..(brief pause) is wicked, and let me leave it at that. God will expose the right people. PRES. JOHNSON-SIRLEAF: There is some movement, I believe. There are two graduates from our medical college who are currently in Ghana specializing in pathology. I have said to the Minister of Health and I think she needs to give contract to someone, preferably a Liberian who is willing to come and take a four-year contract until our people have completed their specialization. So I believe she is working on that. PRES. JOHNSON-SIRLEAF: Of course yes! I expressed that, I expressed that the other day when the Friends of Amara Konneh honoured him, to say goodbye to him. PRES. JOHNSON-SIRLEAF: I don’t think it is a fair criticism, any Minister of Finance is subject to criticism, because you hold the nation’s purse and everybody wants to get what they want. Everybody feels entitled to it. Sometimes you can but Amara has been very effective in mobilizing resources. Sometimes in the most difficult circumstances for example, while we are here struggling with the fact that we are going to reduce the level of revenue next year, while we are trying to cut back, he is out there trying to convince the IMF and the World Bank to give more budgetary support and so it is beginning to work. We have a lot of budgetary support, budgetary support to help us finance our budget. We could not finance our own budget because our domestic resource mobilization is so low, people do not want to pay taxes here. PRES. JOHNSON-SIRLEAF: That is a valid position and we have looked at it and we are even thinking about extending the period for the tax clearance but the LRA says: ‘look it is a system that is just working so that people get accustomed to paying taxes, and getting their tax clearance and now that they are beginning to get accustomed to it; than we begin to relax it.’ If you wait until sensitivity is there, people will slip into the whole thing and they will stop paying but the time to pay, I agree; we need to try to match the two but we need to try and speed up our own expenditure system, it should not take that long. PRES. JOHNSON-SIRLEAF: I think, I wish I would have thought better about Government and media relations. I am not an expert on that, I am not a communication expert. 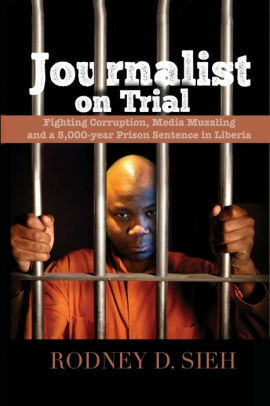 I wish I had taken more time to see how we could have done it better – how we could have had more trainings for journalists, regulatory body to ensure journalists improve their skills, something that would have prevented a situation where today we have what 30 radio stations, we have how many newspapers, newspapers that just come and go overnight and as result, quite frankly the media maybe not fully conscious of this, but the media has tried to define the progress and the problems of this nation. PRES. JOHNSON-SIRLEAF: I feel confident that we are going to do much of that. Will we complete everything? No! But we are going to complete some critical things that will make a difference: the runway? the terminal? Yes. Electricity into these homes and what not? Yes! Our targets may not be the ultimate of what is achievable but the targets we set are that which we will achieve. We just hope we will get the cooperation from people. We had a case the other day where we installed some water pipes and somebody gets angry and go and break the water pipes; that kind of citizens; action tears us and slows us down and takes away but we are going to achieve those major things to which you referred. PRES. JOHNSON-SIRLEAF: Strong in spirit, strong in determination, strong in conviction, but sometimes a little sad now at some of the unfair talk around the town. The cheap talks that just take away from our effort. Like I say it does not deter me, I keep pushing on but you know, the iron to lash out at them, I do not do that anymore. PRES. JOHNSON-SIRLEAF: History will remember that I met Liberia, a broken nation, a pariah state and I put it on the track for sustainable development. There is no escaping that, nobody will deny me that because it is true. PRES. JOHNSON-SIRLEAF: I am tempted to just say two words to the critics: Shut up! — laughter— just to say that let me just put it this way. Some recent criticisms from some people who I will call my good old friends, that this government is incompetent, this President is incompetent. You know my response, incompetence got me where I am and incompetence got them where they are. Maybe a lot of people will want to be incompetent. PRES. JOHNSON-SIRLEAF: Give him a year in what way? PRES. JOHNSON-SIRLEAF: Not a chance, I will support Vice President Boakai in all his endeavours; according to what he wants, how he sets his program to become President. I will give him the fullest support but he will get it the same way I got it. Anybody who gets it will get it the same way I got it. They will go and they will campaign for it and they will fight for it, they will set their target and they will get it and besides it is very important for Liberia’s political maturity for us to have a peaceful transition for the first time in three decades, it is very important for us and I will not deny the country that, by not staying on.